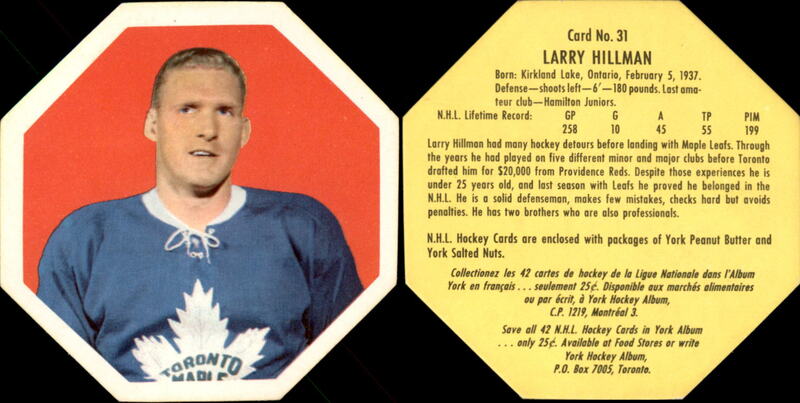 These York hockey cards are octagonal in shape, measure approx. 2 1/2" and numbered on the back. 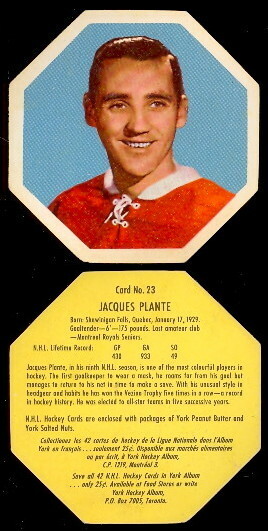 The card backs are written in both French and English. An Album was available for both years. 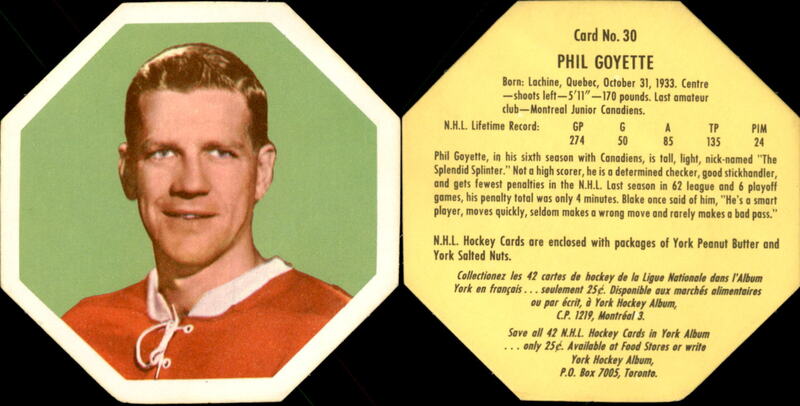 The 1961-62 York Peanut Butter cards are a 42 card Set and have yellow backs. 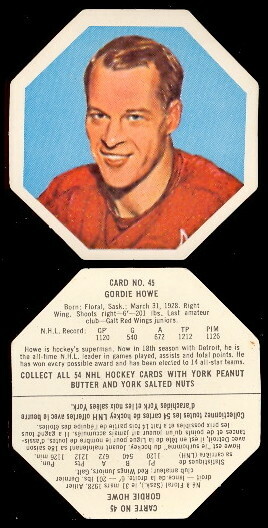 The 1963-64 York Peanut Butter and York Salted Nuts is a 54 card Set with white backs.